Good news for KISS fans as the legendary group will be releasing another live CD/DVD, this time capturing their recent residency performances at The Joint at the Hard Rock Hotel and Casino in Las Vegas, Nevada, USA back in November 2014. 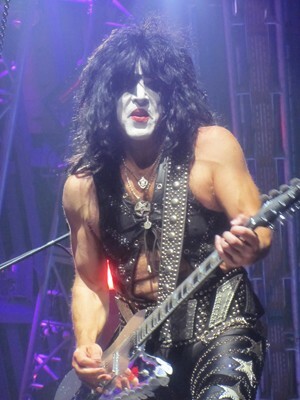 “On August 26, 2016, Eagle Rock Entertainment will unleash KISS Rocks Vegas on DVD+CD ($21.98), Blu-ray+CD ($26.98), and Deluxe Edition DVD+Blu-ray+2CD ($79.98). 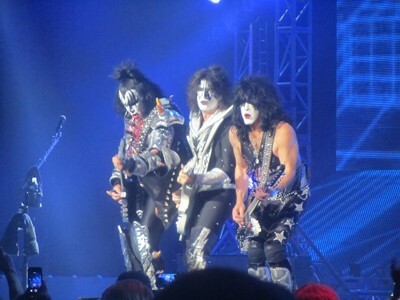 Captured in the midst of their 40th Anniversary World Tour, the Rock and Roll Hall of Famers sonically shook Vegas during their residency at The Joint at Hard Rock Hotel and Casino in November 2014. 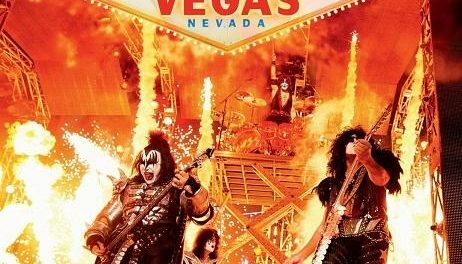 This Sin City set sizzles with KISS classics from across their 44 album legacy: “Rock And Roll All Night,” “Detroit Rock City,” “Shout It Out Loud,” “Love Gun,” and more. 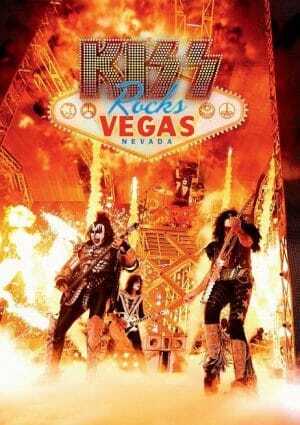 Punctuated with pyrotechnics galore, the film presents the fire, electricity, and one-of-a-kind rock experience that earned KISS over 100 million sales globally. The Deluxe Edition of KISS Rocks Vegas is presented as a hardcover package with a 12X12 book, boasting photos from the show and more, also included is an exclusive CD featuring a seven-song acoustic set.